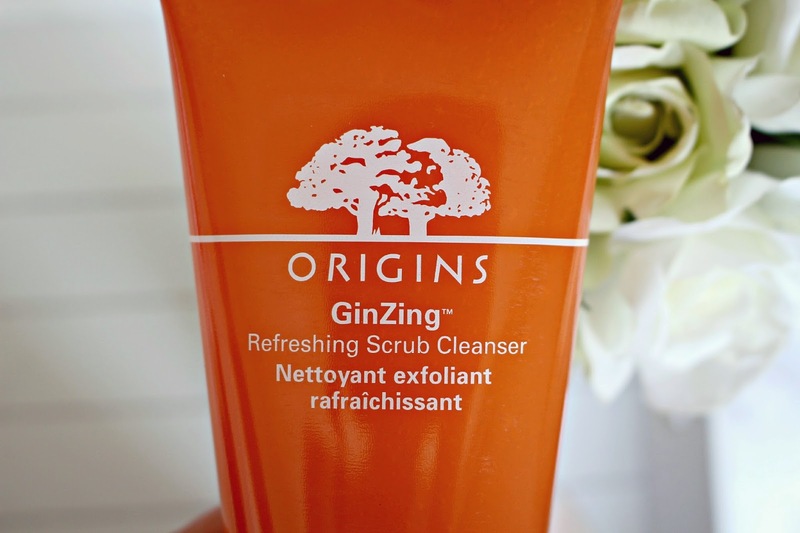 After falling in love with their GinZing moisturiser, I couldn’t wait to try the newest product in the range from Origins. Starting the day with a revitalising scrub, the product contains caffeine and panax ginseng – so you can skip the coffee and give your skin a treat to wake yourself up in the morning. The scrub promises to gently exfoliate, unclogging pores and leaving skin smoother, brighter, refreshed and squeaky clean. As with all of their products, all ingredients are 100% natural, and of course it smells incredible with the essential oil blend of Grapefruit, Lemon and Spearmint. I apply a small amount onto wet skin and massage in circular motions, and it’s gentle enough for everyday use. It is very effective at removing makeup although I did use a different product for the eye area, as my eyes are extremely sensitive from having Laser Eye surgery a while ago!! It’s hard to explain, but the GinZing scrub is so refreshing and makes your skin feel slightly tingly, and ‘awake’ for the day. There are lots of beads in the gel and sometimes i’ll still have to wipe a few off after I’ve finished cleansing, so I mainly use it in the shower so that there is plenty of water to splash it off with. With many exfoliators, I have to use a thick moisturiser afterwards, but this one doesn’t dry out my skin, so I can still use my everyday products. I follow up with the GinZing moisturiser (review here) and the two together give my skin such a treat, with an awakening effect that means you can skip the coffee altogether! The GinZing scrub costs £18.50 and was recently launched exclusively in store in Selfridges. You can also get it on the Origins website, and it will soon be rolled out to all Origins stockists.